This topic contains 3 replies, has 2 voices, and was last updated by Ochoin 3 months ago. I last played a battle from these scenario books with my own rules – Ancient Battlelines Clash – over two years ago. It had some minor issues that had been niggling at me but not sure how to resolve them. Over 2017 I wrote and played with some rules more linked to Bill Banks Ancients. I thought a mashup of those rules and Ancient Battlelines Clash would be the way forwards. I played a game in December 2017 but realised it was not to be. For the last year I have been renovating a house (still not quite finished) and quietly working on a new version of Ancient Battlelines Clash with some minor changes (that did come from the mashup ruleset) to resolve my issues with them. This is my first game with the revised rules and it went well. I am hoping to get more games played in 2019. In 2019 I have already played more games with Ancient Battlelines Clash (1) than in 2017 and 2018 combined (zero)! thanks for the battle report. I have figures for the period (except for no Carthaginian chariots) but have never gamed it. Can you briefly indicate your solo play mechanisms? Sure. The programmed opponents has some concepts that can be reused but the detail is specific to the rules. Delay: similar to hold be try not be get into combat either. Each unit type acts differently depending on zone orders. There are also optional rules for potential changing or orders in a zone and cautious and bold generals influencing changing orders. For deployment, there are rules for randomly determining zone orders dependent on the army unit composition e.g. 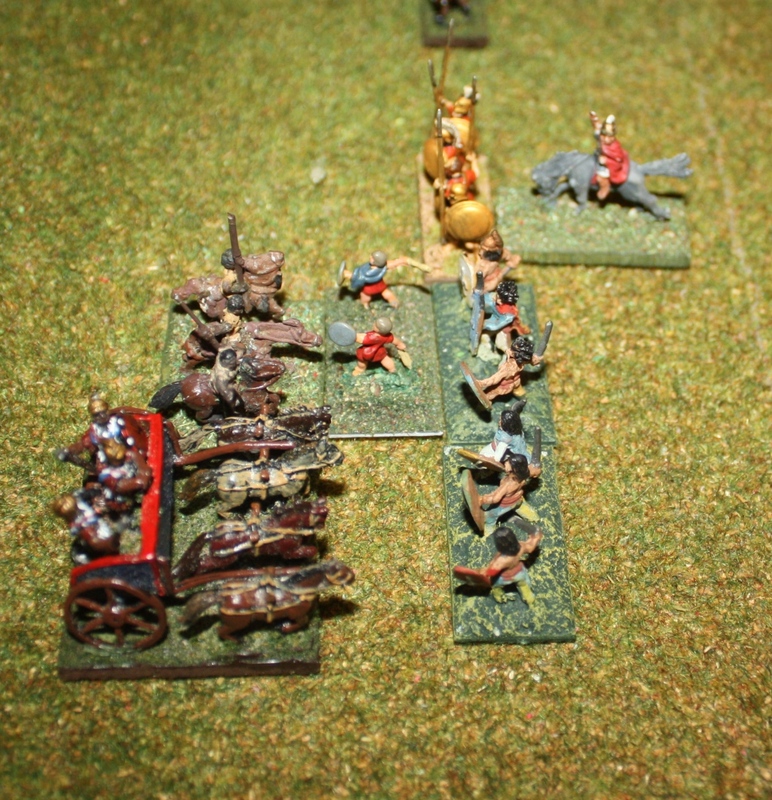 if a unit is mostly mounted it may randomly get an army strategy of Flank attack, Envelop flanks or Oblique. For Flank attack the zone orders are Attack for the strong flank, Probe for the centre and Wait for the weaker flank. That sounds pretty solid, Shaun. I have a surfeit of opponents at the moment but I’m still interested in something I can do solo. Anyway, food for thought.